A septic system is a sensitive element that must be installed properly and handled with extreme care to protect the safety of your family and the environment around your home. 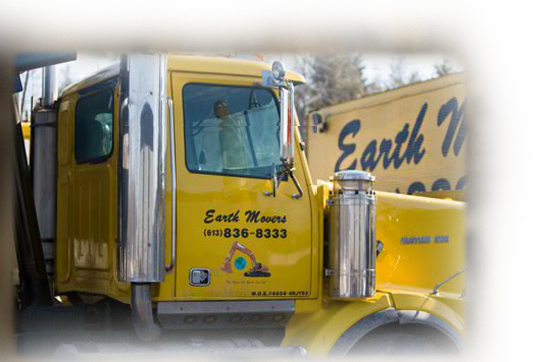 At Earth Movers, we are a qualified septic system contractor in Ottawa that offers extensive experience in handling septic systems safely and efficiently. Our fully trained contractors can help you choose the right system and install it correctly the first time to avoid more problems in the future. When you hire a septic system contractor from our Ottawa company, you can count on a licensed contractor who has performed multiple jobs like yours throughout his career. We are experienced in inspecting older systems and installing new systems so you can be sure your septic system will work properly. All our septic system installation services are inspected by the MOE or your local health unit to guarantee the safety of all new septic systems. Trust our expertise in the area of septic systems, giving you peace of mind that your septic system will stay safe and healthy.